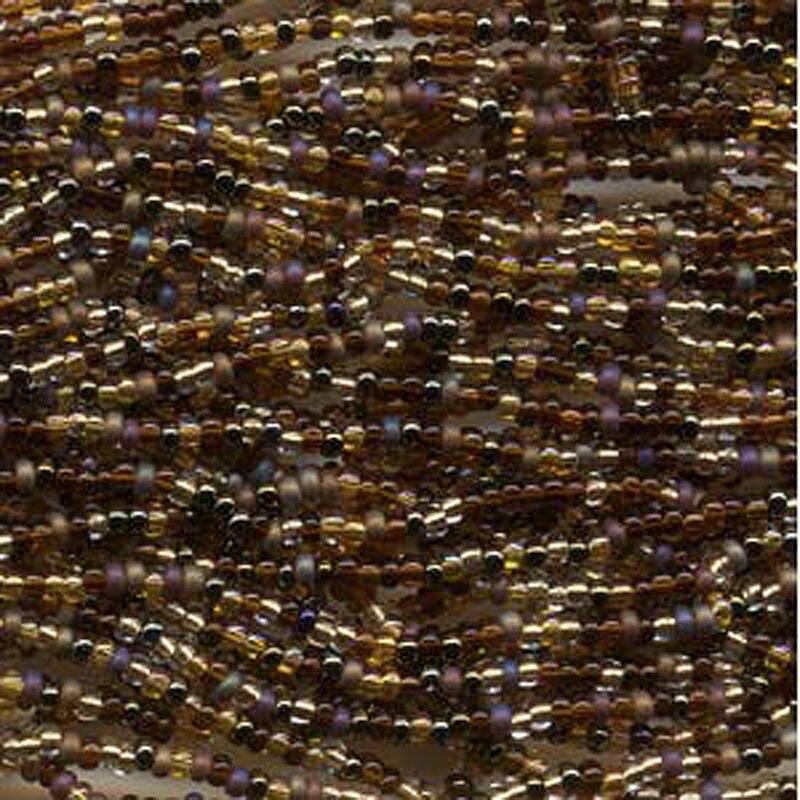 Wheatberry mix size 8/0 Czech glass seed beads. Colors include light topaz, crystal gold lined, shades of brown and matte purples. Size 8/0 beads measure about 3.1mm; there are about 39 grams of beads on this 6 string half hank, about 13.5 beads per inch....that's around 1,600 beads! Plenty of beads for your beading, looming, kumihimo, knitting, crochet, fiber arts projects! This is a great shop to buy from! Shipping is so fast and products are exactly what I'm expecting. Thank you! Gorgeous beads and incredibly quick shipping! Thank you so much! Thank you so much. Beads are prettier then I expected and just what I needed to replace the ones my cat nocked over and donated to my studio floor. The free gift is just lovely also.